My posts have been few and far between lately. After switching jobs in mid-May, I’ve devoted most of my waking hours to studying for the certifications I need to earn within my first 90 days of employment. There are 4 exams total – I passed my second yesterday, and should have the next 2 completed before the end of the month. Each exam requires roughly 40 hours of prep time: between the exams and Ironman training, my free time has been sparse recently. Stoked on the Reynolds 72/90 wheel set from Podium! I have a small backlog of posts that I’ve been eager to write – but first and foremost, I want to get the word out about Podium Wheel Rentals. Podium is one of the premier bike sponsors serving racers at all three events this year – Vineman Monte Rio, Vineman 70.3, and Vineman Full/Aqua Bike. I’ve been on the fence about buying race wheels over the past two seasons – mainly because they’re damn expensive. When I registered for Vineman Monte Rio looking for redemption after my poor showing at Wildflower, I knew that I wanted to go fast. 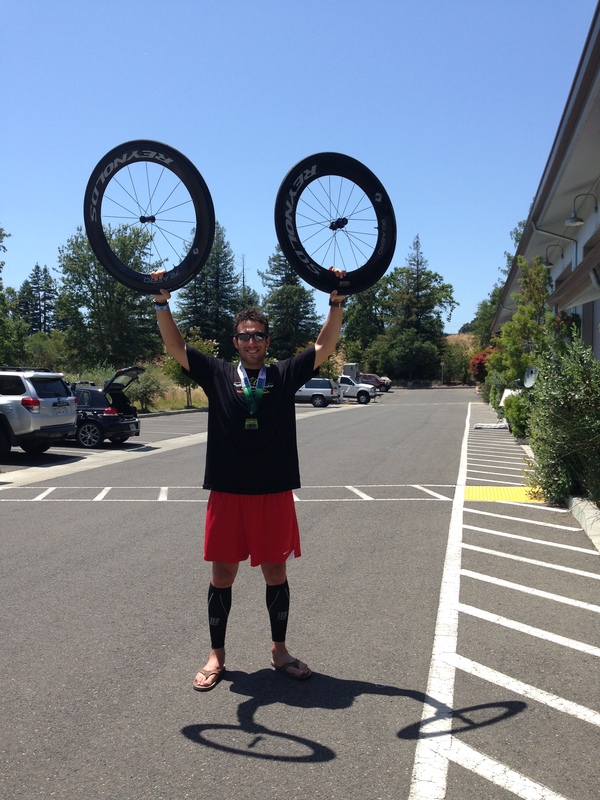 Vineman 70.3 is one of my two A-races this year, and race wheels have helped me excel at past A-races. Vineman Full Aqua Bike is a test run for Ironman Lake Tahoe – my other A-race, and it soon became clear to me that race wheels would be ideal for all three events. Speed kills – looking fly before Vineman Monte Rio. I contacted Tony – the owner of Podium, about the possibility of renting at a discount since I’m participating in all three events. He graciously gave me a good deal for all three races along with an opportunity to try different wheel sets if I wish to swap. He has a full arsenal of fast wheels – Zipps, Reynolds, ENVEs – you name it. When I showed up at the Vineman Monte Rio expo and dropped my bike off, I knew it was in good hands – Tony swapped my brake pads with carbon pads and had me on the road in a matter of minutes. I opted for the Reynolds 72/90 set – a deeper rear wheel than I’ve handled in the past, but it held speed incredibly well with noticeably less effort. True to its name, I found myself on the Podium at Monte Rio after throwing down 25 miles in 1:07 – a 22mph average. 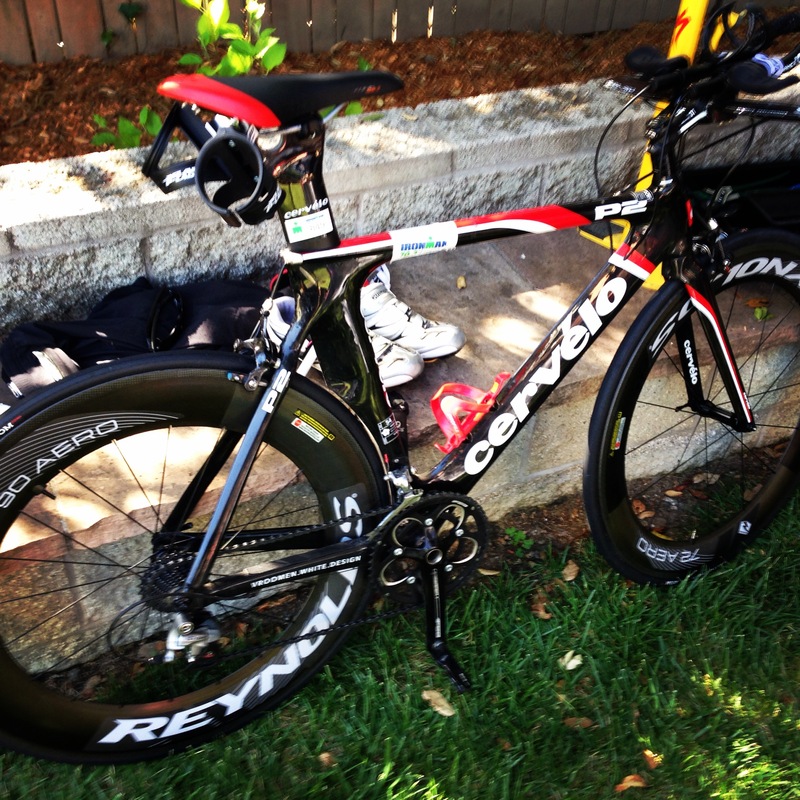 Tony swapped my wheels after the event and I was on my way – I can’t wait to get on the Reynolds’ again at Vineman 70.3. Podium is based in Healdsburg, CA and appears at many events in the Bay Area, however they also offer nationwide services for those who are interested in having wheels shipped to them. 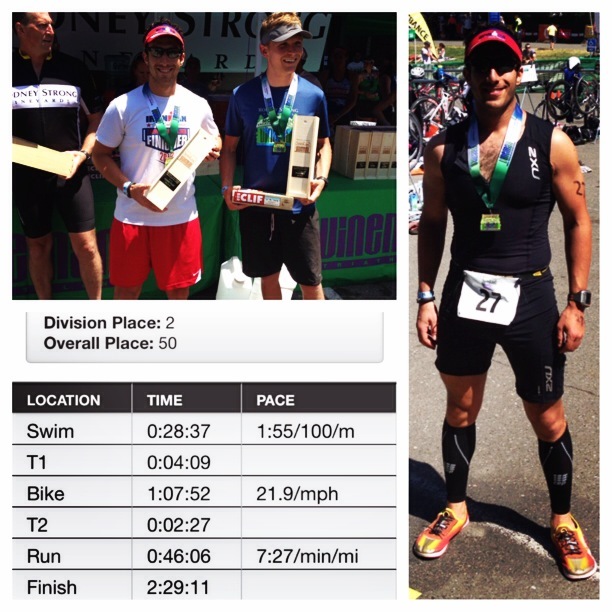 I highly recommend giving Podium a call ahead of your next A-race – ask for Tony! I have never ridden race wheels before. When I decided not to buy a new bike back in January I decided that I would just rent race wheels for Canada! I am super excited to try them out. I am trying to decide if I should rent them from the company that rents for Ironman or my local tri store. That is awesome that Tony gave you such a good deal to rent for all 3 races. Wow – you’re in for a treat! I rode race wheels for the first time at IMLP – you will not believe how much faster they are. I’ve found that I can maintain my normal speed with substantially less effort and I have much more in the tank when it’s time to run. If you do decide to punch it, you’ll really reap the benefits when you exceed 20mph. From what I’ve read, IMC’s bike course is comparable to IMLP, and I was super happy on a Zipp 404/808 setup. I’ve rented both ways before and strongly encourage you to rent onsite at IMC as long as they have your desired wheel set in stock. It’s a very easy process – you can typically grab them a couple days before the race with ample time to ride and make last minute tweaks. You also would have one less thing to deal with after you finish. Good luck! Oh awesome!! Yes I think that Whistler is very similar to LP!! Thanks for the info. I am going to get on it right away!!! Jesse—I am getting ready to put in the rental agreement for my wheels and I just wanted to clarify: 404 front wheel and an 808 rear wheel?? Thanks!! Yup! That’s right! A 404 front wheel will fare better in the crosswinds and give you more control than the 808/808 or 808/disc sets. Woo hoo! Get ready for a cruel, expensive tease; I can barely ride my peasant wheels these days! !